The Strategy steering groups and forums will provide guidance and recommendations on their specific theme. 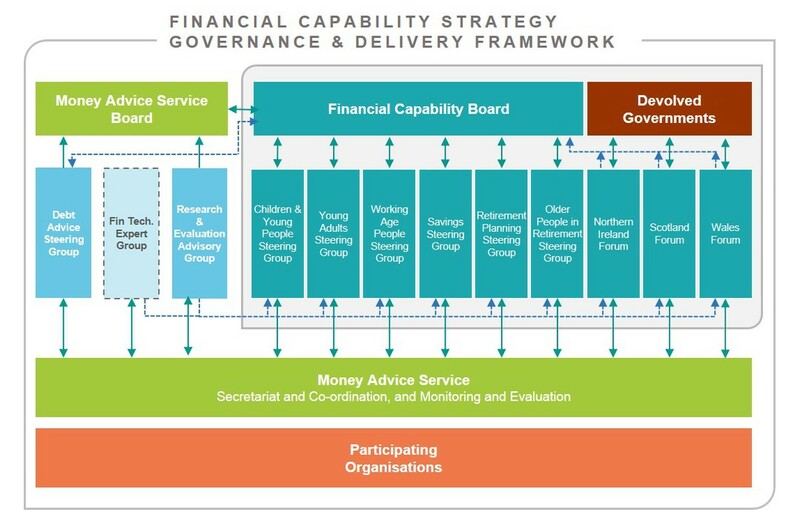 The steering groups will be made up of organisations from across all sectors with an interest in improving financial capability. Once formed further details of responsibilities and ways of working will be defined in their steering group terms of reference. The establishment of a FinTech expert group is still under consideration. The action plans published in the Strategy are the initial proposals that have been developed in consultation with stakeholders, based on an analysis of the current key issues and evidence for each life stage. These action plans do not represent everything that the strategy will do, they are a starting point that will be passed on to the relevant steering group who will review, refine and prioritise them.